BLANKET - Polar 13.5 oz Fleece Anti-pill - Burgundy with White Thread - Earlham College Imprint - with nylon strap - 50" X 60"
BLANKET - Polar 13.5 oz Fleece Anti-pill - Gray with Burundy Thread - Earlham College Imprint - with nylon strap - 50" X 60"
Maroon and grey Earlham Alumini wool felt pennant with the Earlham Seal. Light grey blanket with "Earlham College" in maroon letters. 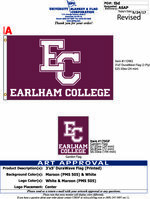 Maroon EC Flag with "EC Earlham College" in white letters. Maroon EC Garden Flag with "EC Earlham College" in white letters. 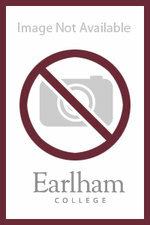 Maroon ribbon with "Earlham College" in gold letters.